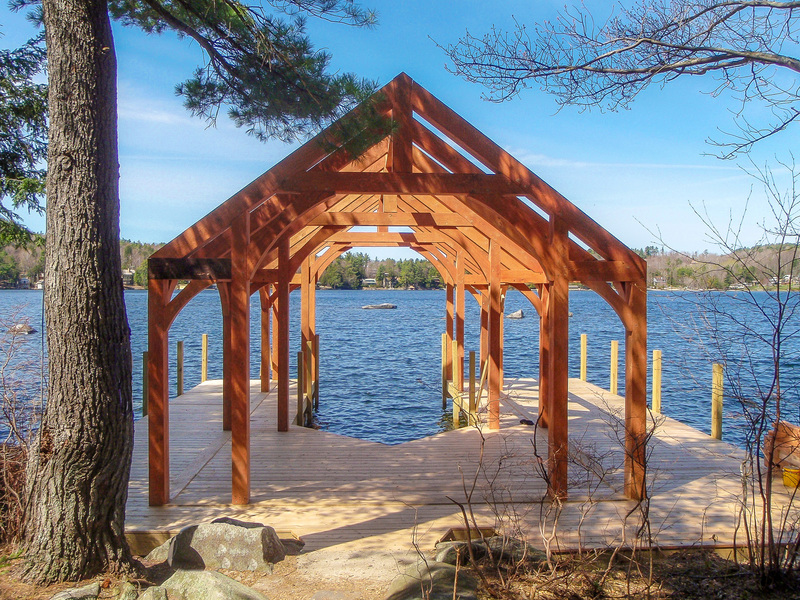 Our timber frame design process begins with our clients’ ideas, then we make the idea work structurally, and then we add an elegant style to the design. 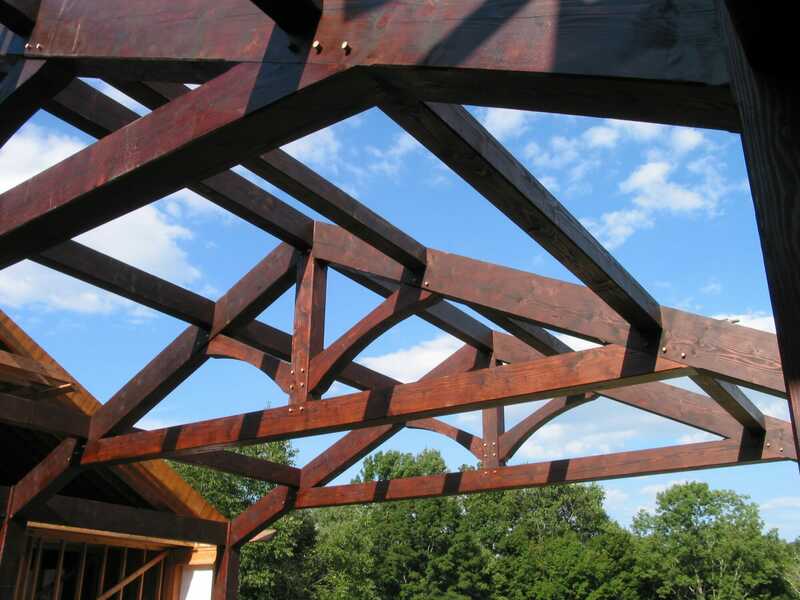 Start with our clients’ construction ideas. Draw preliminary pencil sketches for review and pricing. Create a 3d model that can be viewed from all directions. 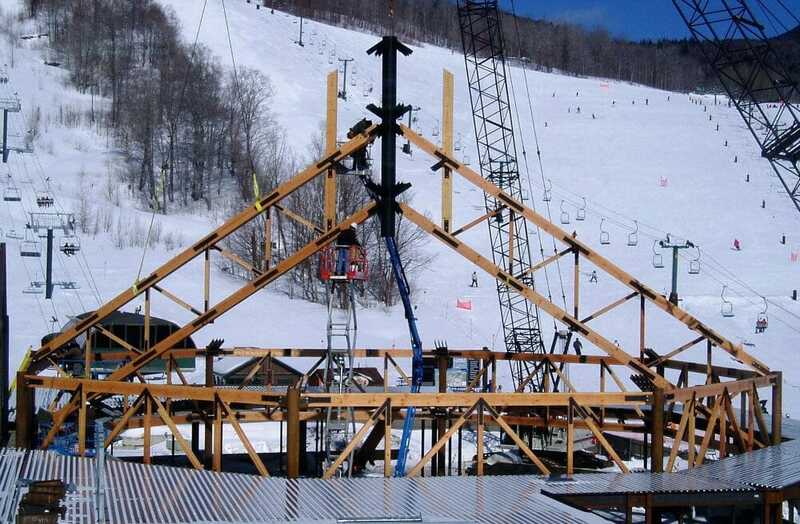 Run engineering to ensure structural stability. 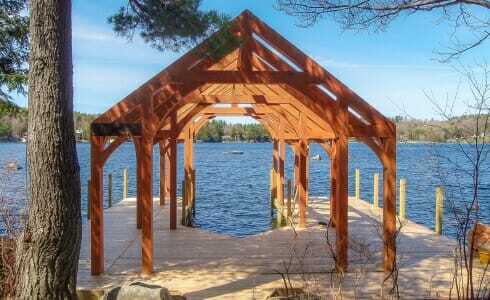 Receive final approval from our client. 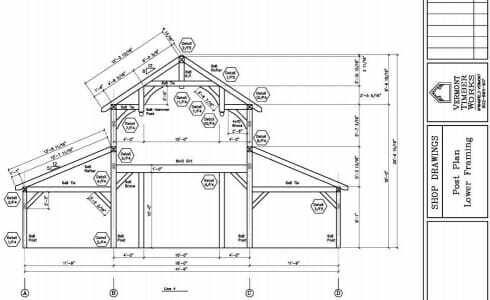 Draw detailed 2d shop drawings. 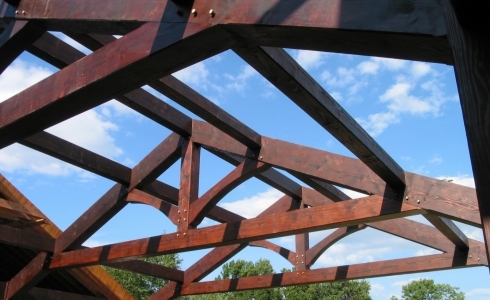 Seal the shop drawings with a stamp from our structural engineering team. 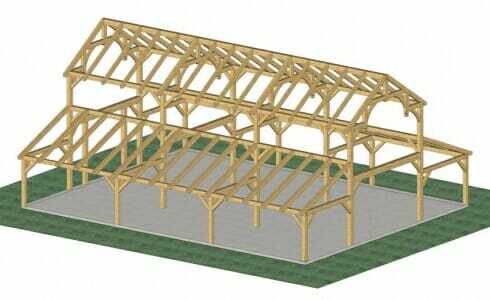 Prior to fabrication, our clients get 3d images of their timber frame to review. 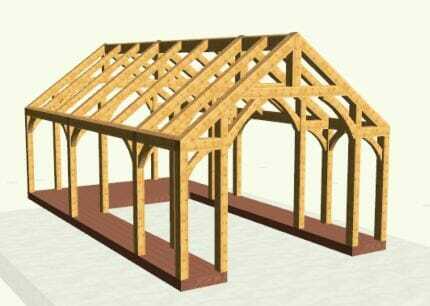 We also render a 3 dimensional model of the timber frame. 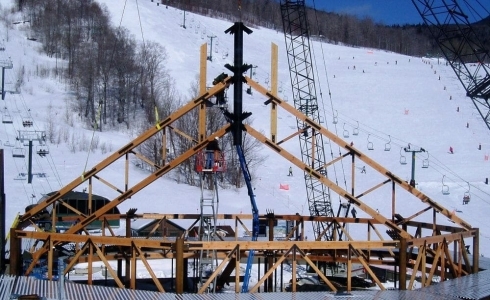 The model can be viewed from any direction. 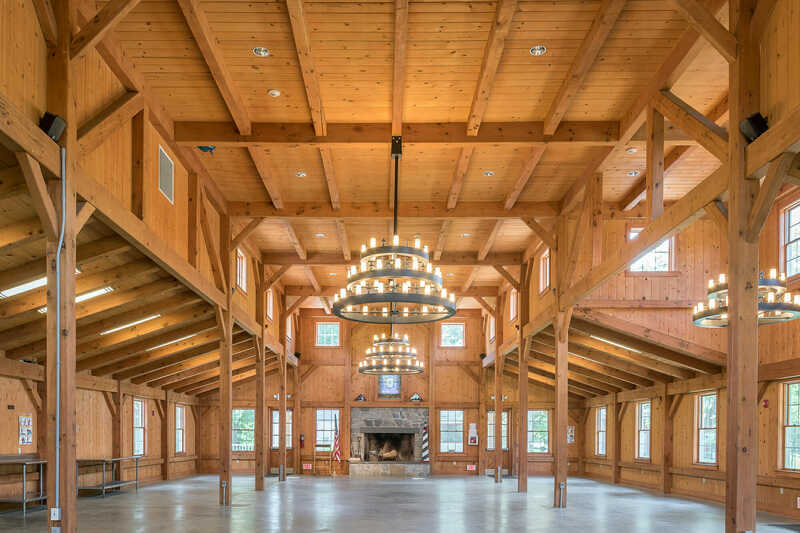 The rendering helps us, and the client, visualize the frame during the design process, and get a true feeling of the timber frame before it is built. 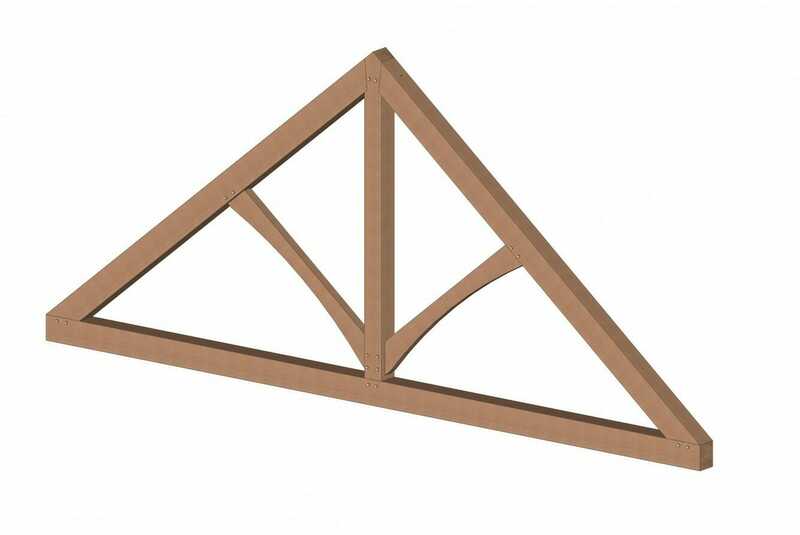 This is a 3d image of a king post truss. King posts are the most economical and versatile truss design. 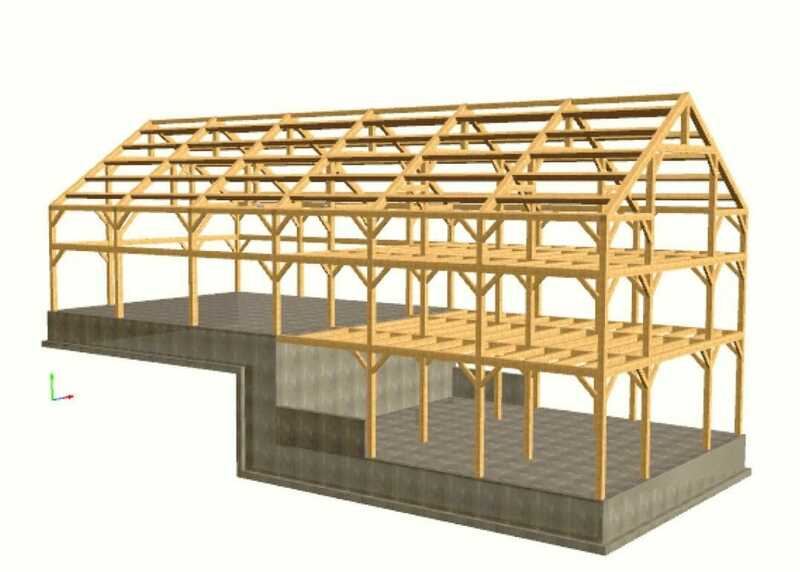 The 3d rendering allows you to see the simplicity and elegance of the design. The bottom chord provides structural support and the curved webs dress up the design. 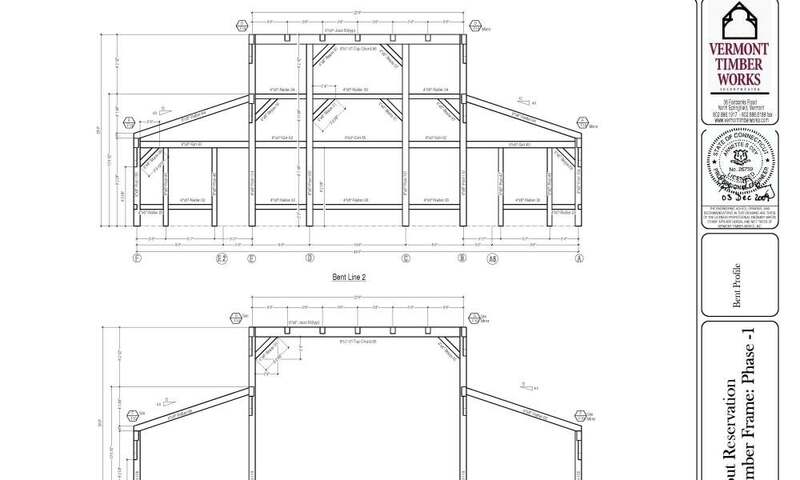 Detailed shop drawings are created prior to fabrication. First draft drawings are sent to the client for design review. 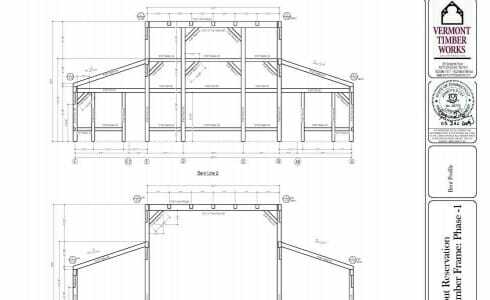 Then, after they are revised according to the job specifications and get final approval, the drawings are sent to the shop to be used for fabrication. 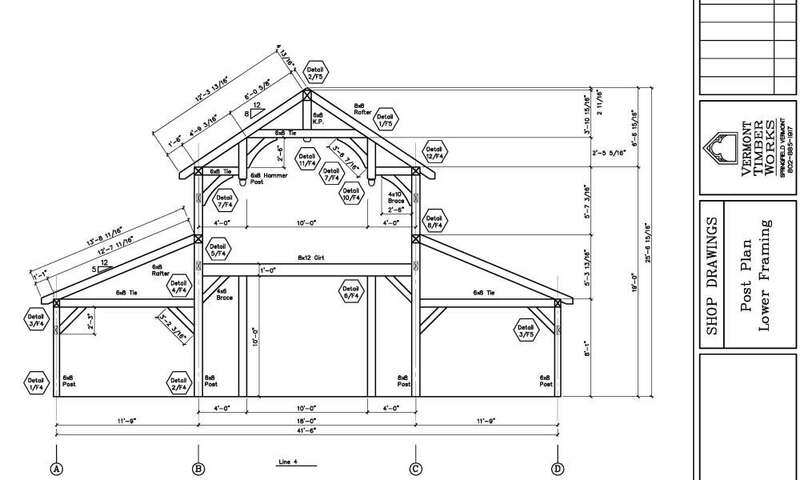 These are the actual drawings that were used to fabricate the Deer Lake dining hall timber frame. 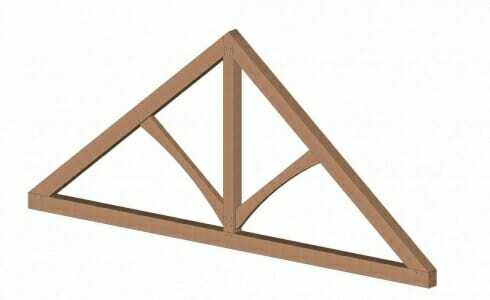 King post trusses can be modified by raising the bottom chord to give a feeling of height. 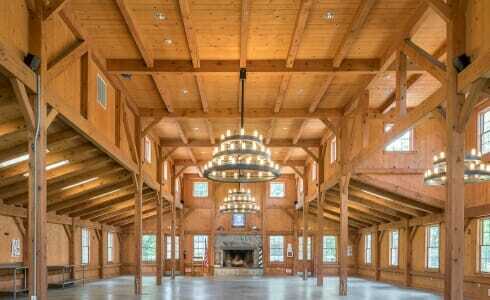 However, raising the bottom chord increases stresses on the top chords, so the timber often needs to be large. 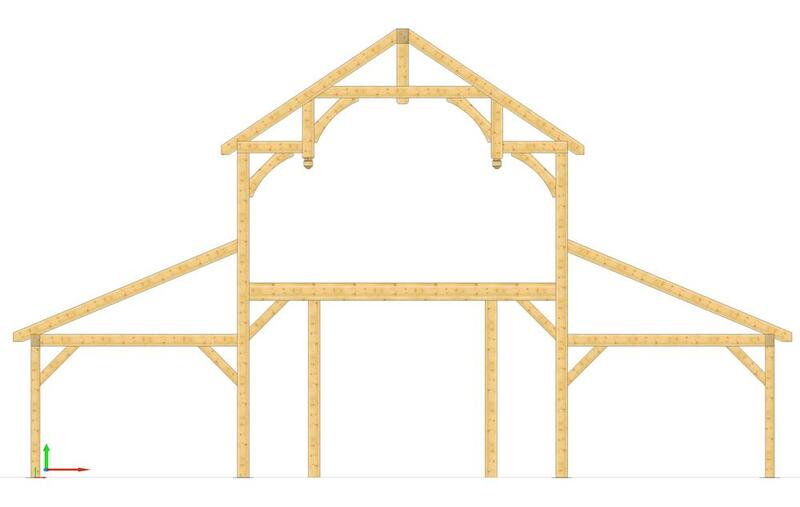 For instance, 8x8 top chords on a standard king post truss may have to be increased to 8x12's or 8x14's for a modified king post truss. 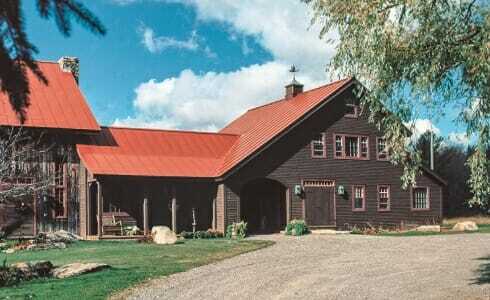 We designed and built this farm house in 1990. 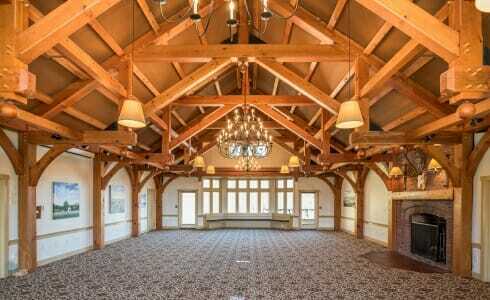 Its elegant but simple design has stood the test of time. 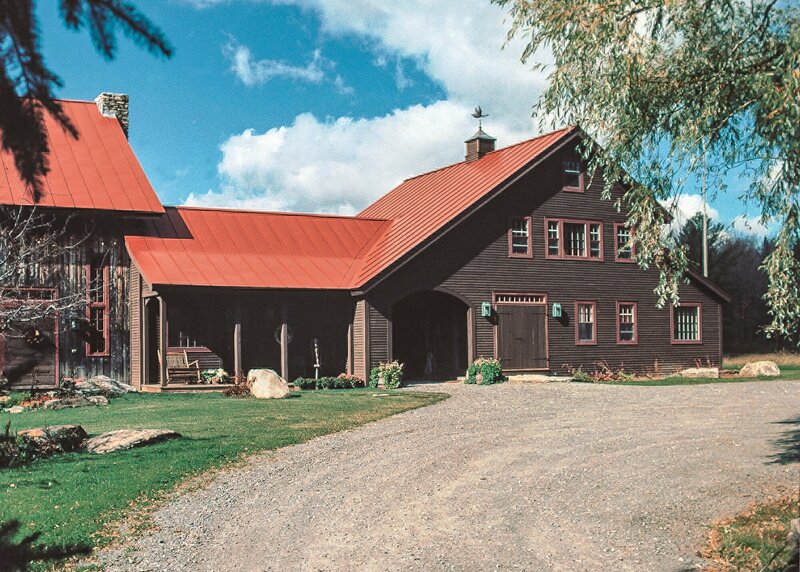 It is a well proportioned saltbox with classic roof pitches. 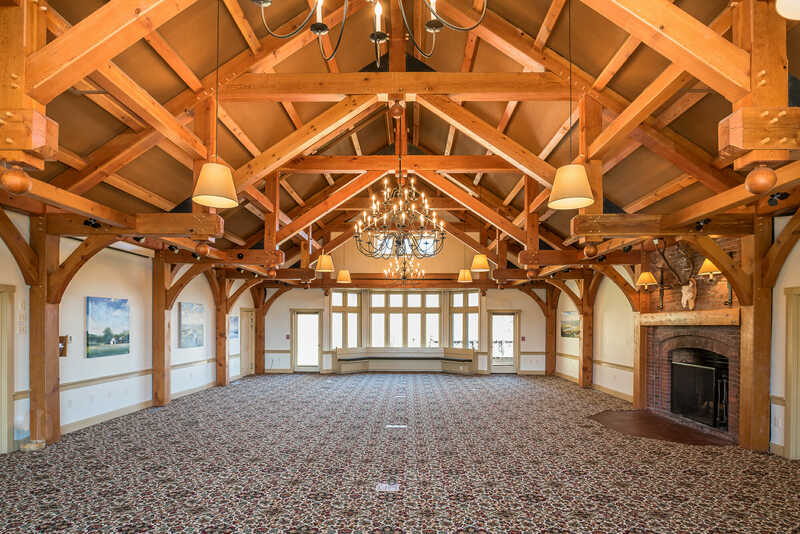 The Deer Lake dining hall looks like a full timber frame but is actually a hybrid frame. 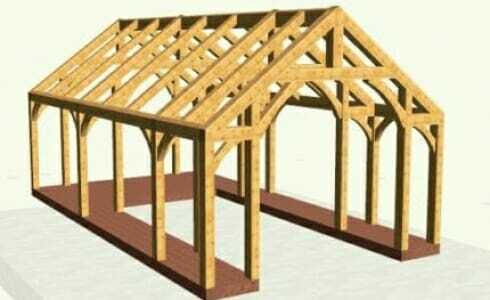 It has ceiling beams and a conventional roof system.